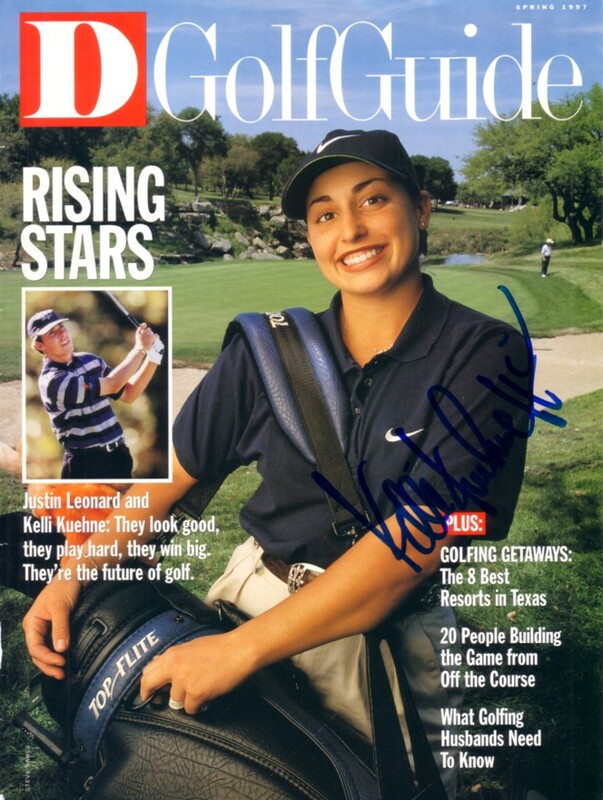 1997 Dallas Golf Guide magazine COVER ONLY autographed in blue by LPGA veteran Kelli Kuehne (at the time just an amateur). ONLY ONE AVAILABLE FOR SALE. With certificate of authenticity from AutographsForSale.com.